Planning a nice meal and not sure how to dress up the rest of the plate? 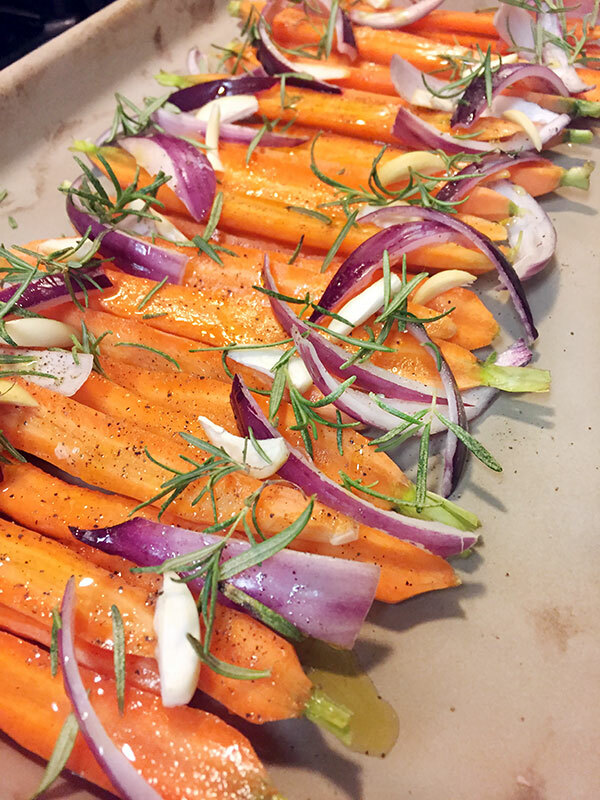 These roasted carrots come together quickly, with little ingredients and loads of flavor for the perfect healthy side dish! 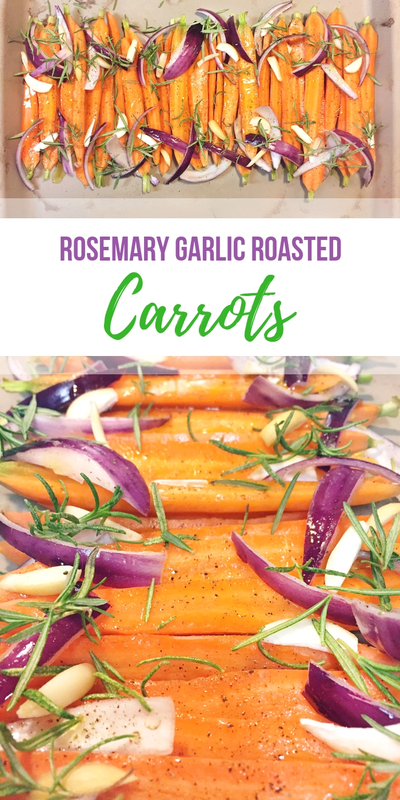 These roasted carrots with garlic, red onion and rosemary are simply delicious! With just five ingredients you can make the perfect extra for dinner. All you need to do is prep the carrots, peel and slice the garlic and red onion. If you use fresh rosemary (which I recommend) then wash and remove from the twig. Lay down the root vegetable first. 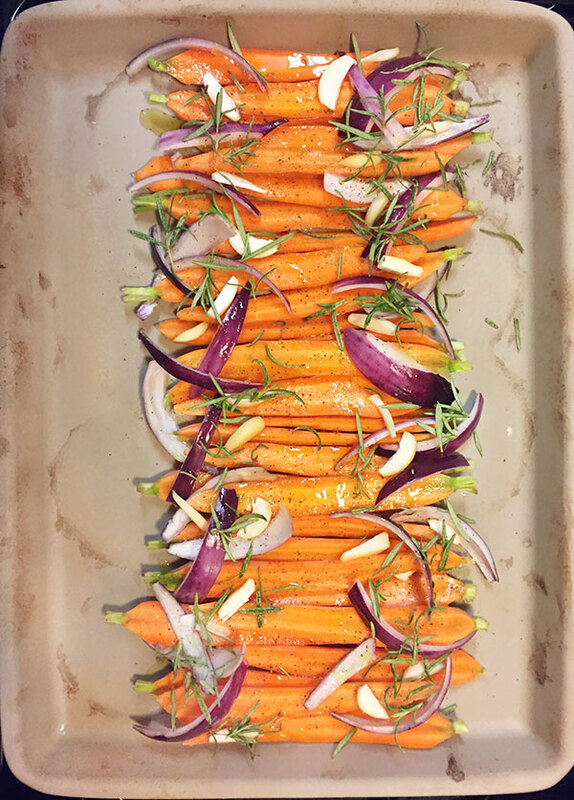 Drizzle with olive oil and arrange on a non stick sheet pan so you can top the carrots. Sprinkle with salt and pepper. 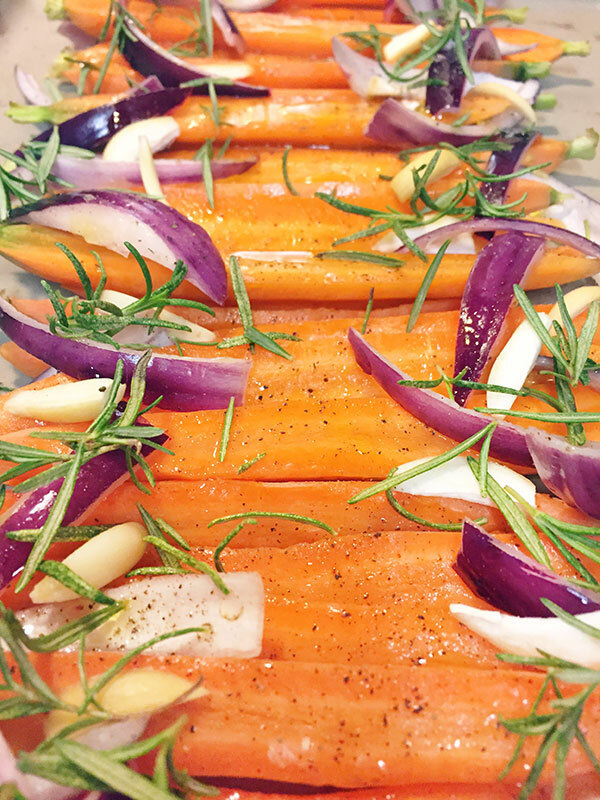 Dress the carrots with the fresh rosemary, garlic slivers and sliced red onion. Bake at 425F for about 15 minutes or so. It really depends on how cooked you like your carrots! If you prefer them crunchy do them for less time, if you want them softer keep them in the oven longer. 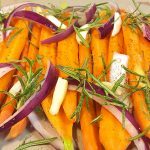 Carrots roasted with garlic, red onion and rosemary. Prep the carrots, peel and slice the garlic and red onion. Layer the veggie on a non stick pan. Drizzle with olive oil and sprinkle with salt and pepper. 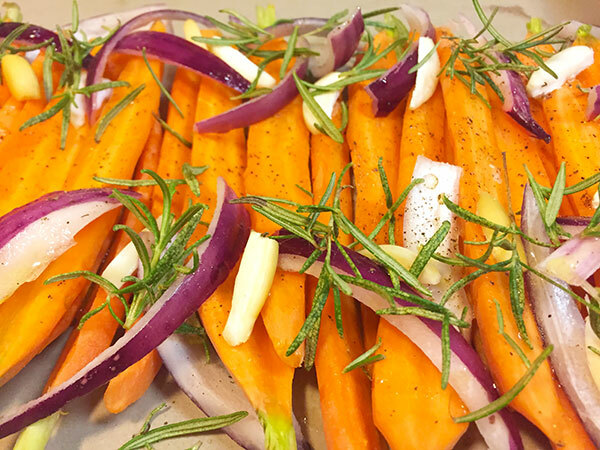 Dress the carrots with the fresh rosemary, garlic slivers and sliced red onion. Bake at 425F for about 15 minutes or so. 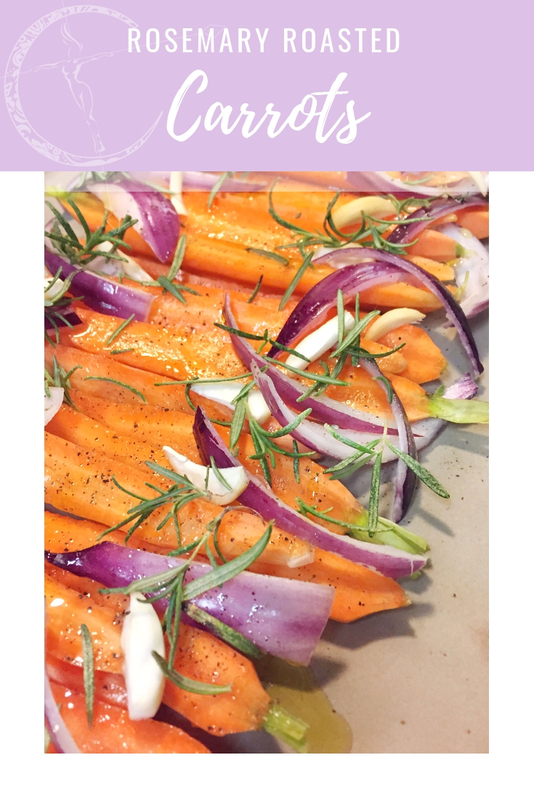 These roasted carrots are an easy, nutritious side for your main dish!